SpiritWays has been locally owned and operated for 21 years. We believe that there are many paths and ways to Spirit, and we are committed to enhancing our human experience with spiritual growth, learning, beauty and community. 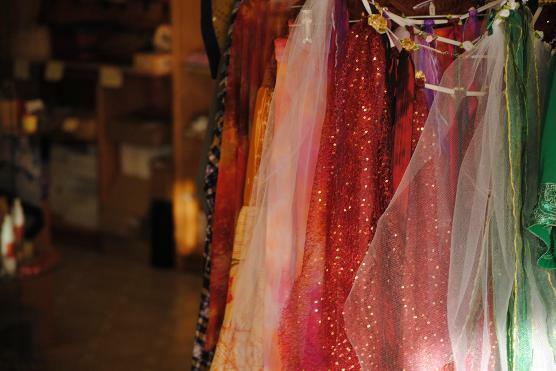 To that end, we offer classes, gatherings, fine metaphysical products and unique, beautiful creations by our many local artisans. We carry over 60 essential and fragrance oils, and a full line of flower essences from FES. Our knowledgeable staff will gladly blend a special oil for you or help you choose the best flower essence for your needs. Unique Jewelry: We have a large selection of sterling silver, copper and gemstone jewelry, including many exquisite pieces handcrafted by local artisans. 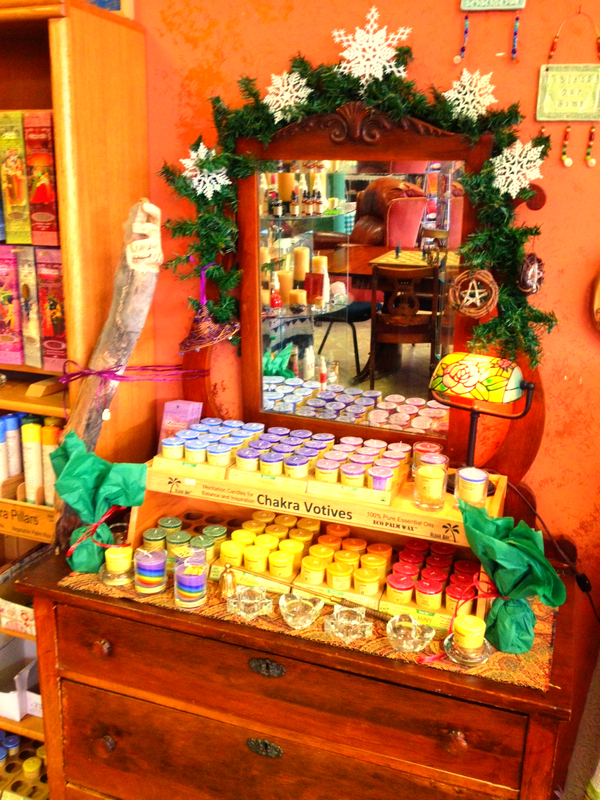 Incense, Candles and Sage: We carry a great selection of scented and unscented candles, several of which are made by local artisans. 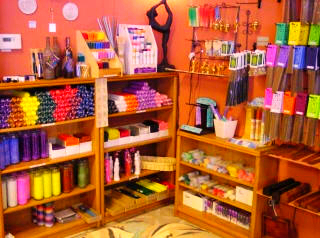 We have incense for aromatherapy, healing, chakra work and magick. We stay well stocked with sage and sweetgrass for cleansing and purification. Stones & Gems: We carry hundreds of gemstones and minerals, from beautiful crystals and spheres to tumbled stones for medicine bags. 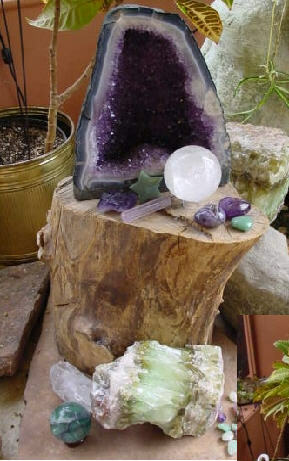 Our stones come from all over the world and our selection changes frequently. Books, Tarot Decks, Oracle Cards and Calendars: We carry a good variety of metaphysical and magickal titles as well as books by local authors. Check our Events page for author nights and book signings. We also feature many tarot decks and oracle cards along with wall calendars, daytimers and almanacs. If we don't have what you are looking for, we can special order most items. We are especially fond of Faeries and Dragons. We also carry a selection of Archangels, and Gods and Goddesses from various pantheons. 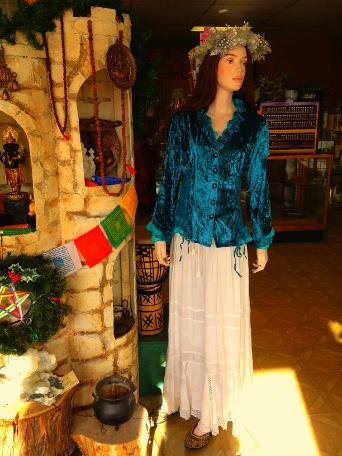 Clothing: We have magickal and ritual clothing, some of which is handmade by local artisans. We also have a unique selection of fun fashion items. 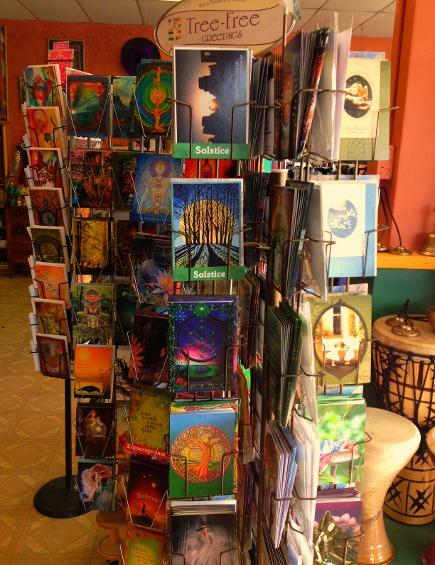 Journals and Cards: Our greeting cards are small works of art, by local or national artists. We carry Tree-Free Greeting cards, which are made using a paper source other than trees! 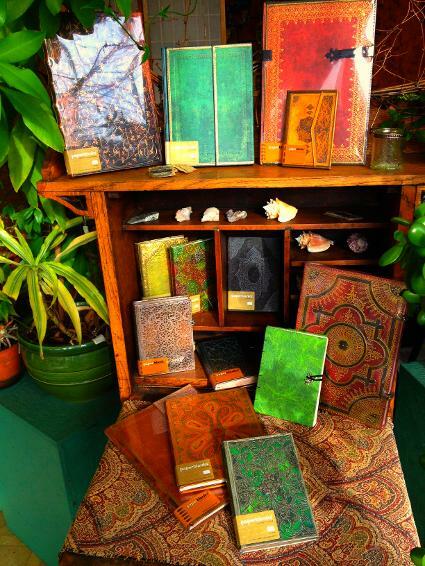 SpiritWays is proud to carry Paperblank Journals, beautifully crafted with an old world look. Paperblank Journals are made with acid-free paper and recycled materials. The ultimate writing experience! 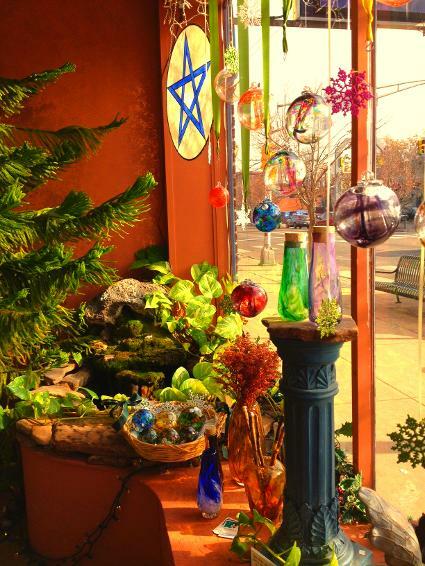 Gaia Glass and Celtic Soul Pottery: Denver artist Karrie McBryde's hand blown glass pieces are practical as well as beautiful, supporting her belief that beauty should surround us in our daily lives. 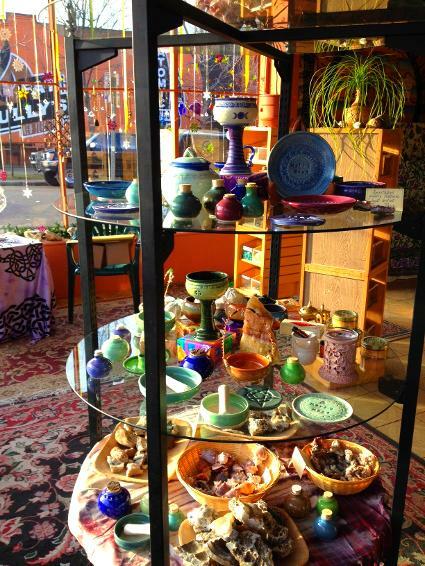 Local potter Toni Penn makes beautiful jewelry and ceramics inspired by nature and spirituality. We have five excellent psychic and intuitive readers and healers to choose from at SpiritWays. Erica Adams reads on Tuesdays, Wednesdays and Fridays. Call us at 303-331-1070. Rob Peckham reads on Thursdays, Saturdays, and Sundays. Call us at 303-331-1070 to book a reading. He is also available for special events. Bill Mays reads at SpiritWays when his schedule allows. Call us at 303-331-1070 to see when Bill is available. David Deutsch reads at SpiritWays by appointment. Call us at 303-331-107 or David at 303-359-9153. Rory Lula McMahon reads at SpiritWays every second Friday of the month from 10am to 5pm and other times by appointment. Call us at 303-331-1070 or Rory at 720-218-5781.